American strain. Very suitable for pies and cooking. 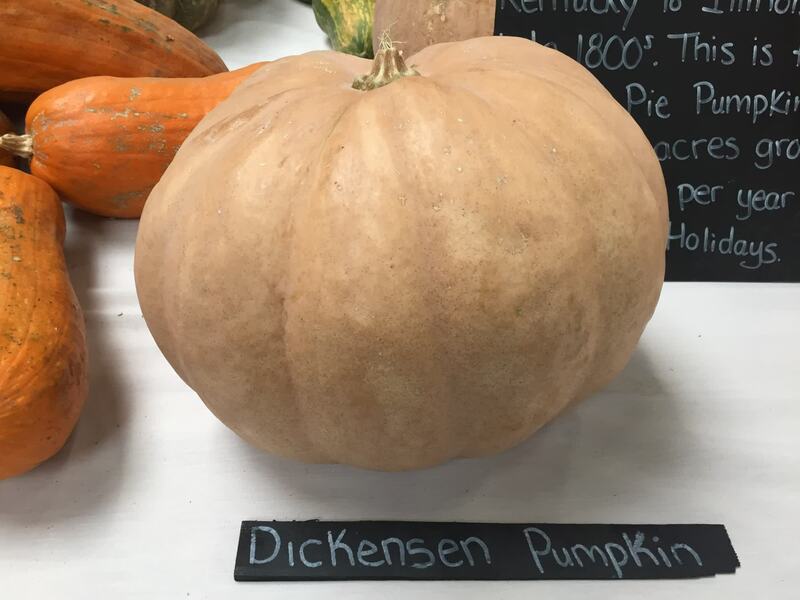 Nearly round to elongated fruits, 18 inches long by 14 inch diameter up to 40 pounds slightly furrowed but smooth buff-colored rind sweet orange high quality flesh for canning and pies. 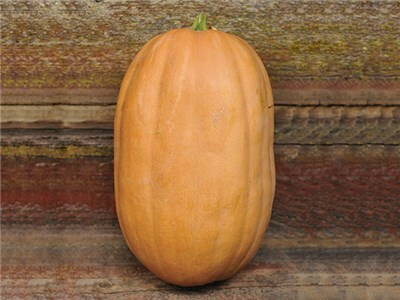 This is the pumpkin of choice for Libby's canned pumpkin. This is a huge, vigorous vine. 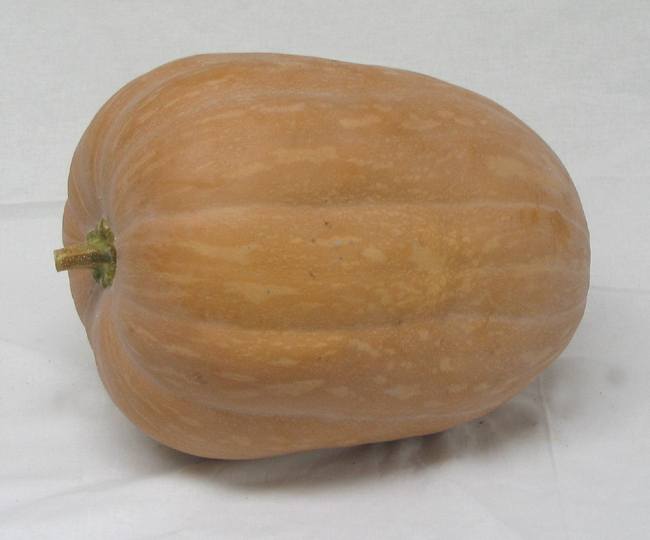 Each vine produces 3-4 medium-sized pumpkins, and the plants are ornamental enough to grow around large tropicals. The lush, beautiful foliage fits right in. Pumpkins are sweet, not stringy, and a good keeper. Make sure to let them mature completely for best flavor. The skin will be tan, and the flesh deep, pumpkin orange. Grown well in Spain, California, Ohio, Wisconsin. Early maturity in Spain, late in Wisconsin.